For over 140 years, Winnipeg has served as the gateway to Western Canada and a hub for agricultural activities of all kinds. The centre of Canada is the world leader in commodities trading, health & functional food research and innovation, value-add food processing, advanced crop research and precision agriculture. Prairie headquarters and agribusinesses make Winnipeg a global agricultural powerhouse and a compelling choice for investment. While commodity markets like grain and livestock are substantially mature, extraordinary potential for growth exists with functional foods, bio-composites and biofuels. R&D efforts are fertilizing innovative new products for the agri-food and fibre industries, for value-added food processing firms, for manufacturing and technology companies, and for life sciences and biotech industries. From seed to harvest, agribusiness grows faster in Winnipeg. 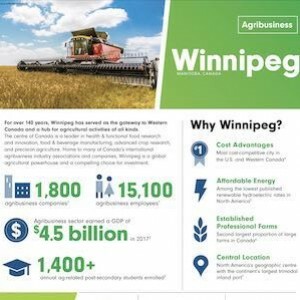 Winnipeg’s agribusiness sector is divided into two main industry categories: agricultural production and food manufacturing. Within the agricultural production industry, farm cash receipts for Manitoba were $6.5 billion in 2017, including $2.2 billion in livestock receipts and $4.1 billion in crop receipts. 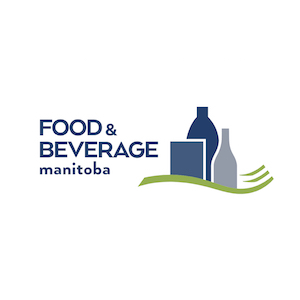 The food manufacturing sector in Manitoba earned $4.7 billion in revenues in 2017. 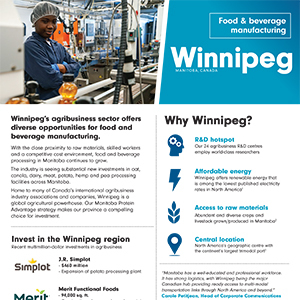 Winnipeg’s agribusiness sector offers a diverse set of opportunities for value-added food manufacturing. Food manufacturers in Manitoba benefit from low factor costs and excellent multi-modal distribution networks that efficiently transport products to markets across North America and beyond. 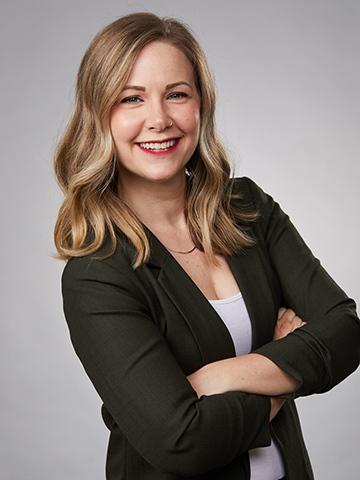 Cutting-edge research by an impressive network of world-class talent and food development entities has strengthened Winnipeg’s position as a leader in the industry. While the Ag community is proud of its past and current global impact it is also full of forward thinkers who embark on new opportunities including machine learning and artificial intelligence to create the most advanced agricultural economy in the world. In 2017, Manitoba accounted for approximately 11 percent of Canada’s farm cash receipts. Canola, an acronym which stands for "Canada oil, low acid", was developed at the University of Manitoba. 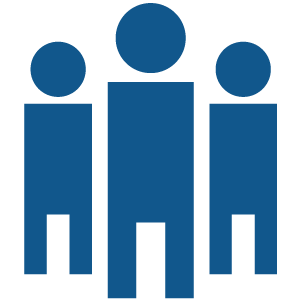 As of 2017, the agribusiness industry in the Winnipeg CMA was composed of 1,808 business establishments. 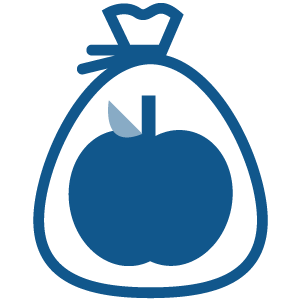 10 world-recognized major food development and research centres are based in Winnipeg and the surrounding area. Workers in the agribusiness industry (Winnipeg CMA, 2017). 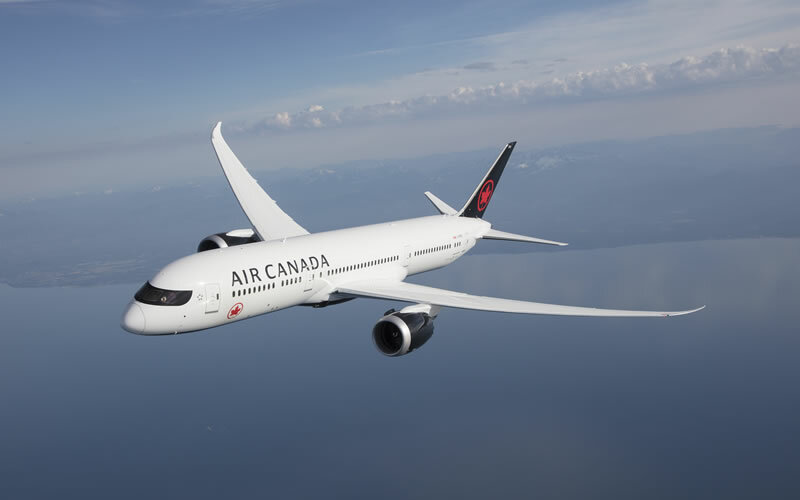 Air Canada is Canada's largest airline, among the 20 largest in the world, and employs 30,000 people globally.